A parabola is the locus of a point that moves in a plane such that its distance from a fixed point in the plane is always equal to its distance from a fixed straight line in the same plane. As defined in Section 5.1, the fixed point S is the focus, the straight line ZZ1 is the directrix. The line through the focus and perpendicular to the directrix is the axis of the parabola. The point midway between the focus and directrix is called the vertex of the parabola, here denoted by O. S is the focus. ZZ1 is the directrix. P is any point on the parabola. Find the equation of the parabola whose focus is (-3, 2) and directrix is x + y = 4. Let P(x,y) be any point on the parabola. 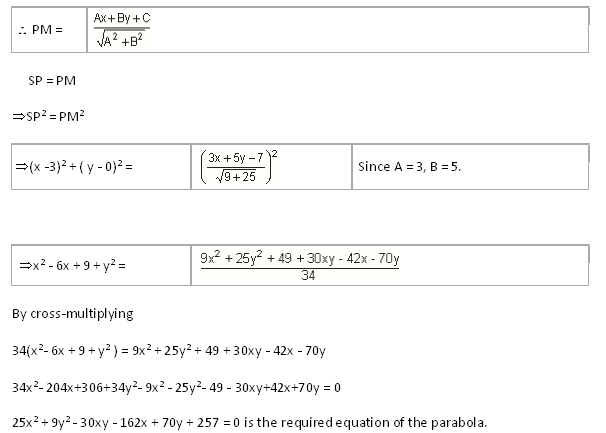 Find the equation of the parabola whose focus is (+3, 0) and directrix is 3x + 5y - 7 = 0. 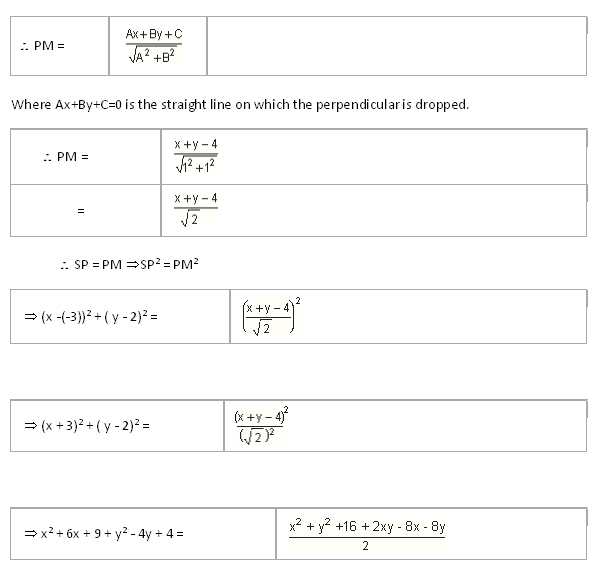 PM = length of perpendicular on the parabola.